The artist that will be on the freshman list of XXL 2019 will be Rico Nasty, Blue face, SkinnyFromThe9, Ybn Cordae, Juice Wrld, Lil baby, Gunna, Sheck Wes, Saweetie and Lil Xan. XXL started in 2007, this year will be the 12th anniversary of XXL. The freshman list was actual “released” it was leaked. Those people wasn’t really confirmed , but there is a chance that they will be on there. The most popular XXL was the one in 2016 and 2014. 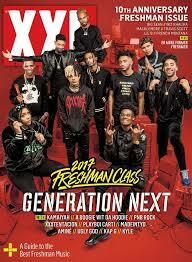 The freshman that were on the list was Lili Uzi Vert Lil Yatchy Kodak Black, Denzel Curry G Herbo, Dave East, Lil Dicky, Anderson Paak, Desiigner, and 21 Savage. What is XXL freshman list? It is where new upcoming artist battle each other with their music skills. XXL is also a music magazine usually it is 10 artist on the freshman list, but 2018 was the only year that there were 9 artist. Rapper Lil Skies declined the XXL freshman list because she said it was rigged. XXL also tried to give the next position to rapper Rich The Kid but he also denied it too. XXL was founded in in 1997 the location of XXL Magazine is location in New York City, New York. In November 2008 XXL released XXL Raps volume one.